Springtime brings with it symbols like birds, nests, eggs – new beginnings all around. 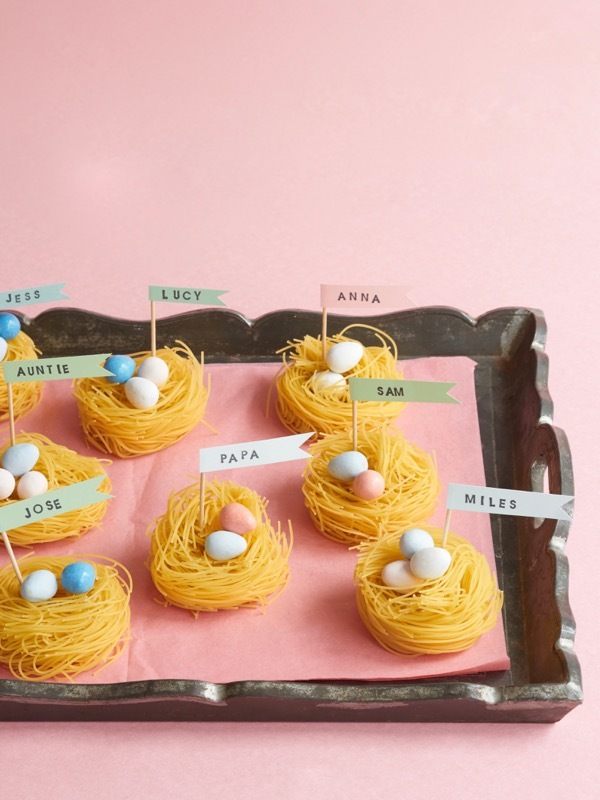 These pretty birds nest place cards are literally right out of the box/bag – just buy a bag in the pasta aisle of your local grocery store! 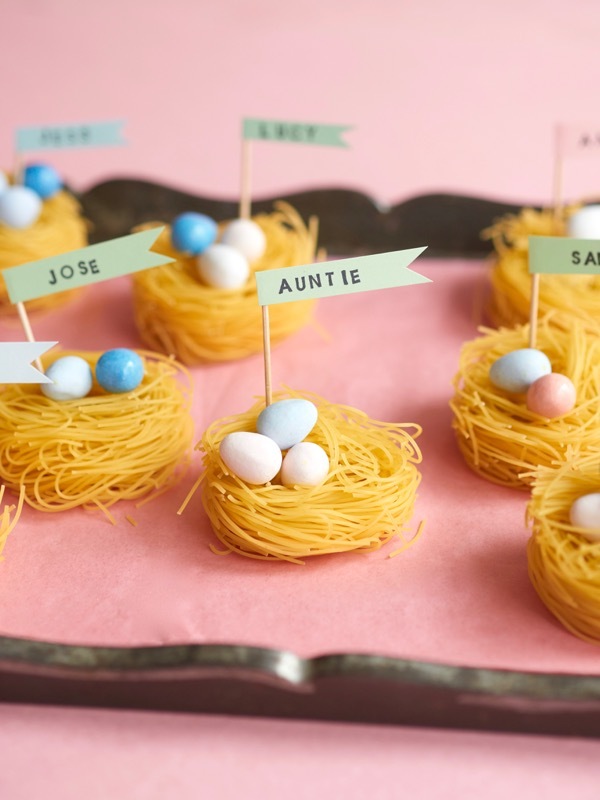 How cute would these be for a springtime baby shower or a fancy Easter dinner?! Step 1: Cut out a 1/4″ x 2″ strip of card stock, and stamp your guest’s name on it. Let ink dry, and cut a notch on the right side. Step 2: Glue the name flag to a toothpick. 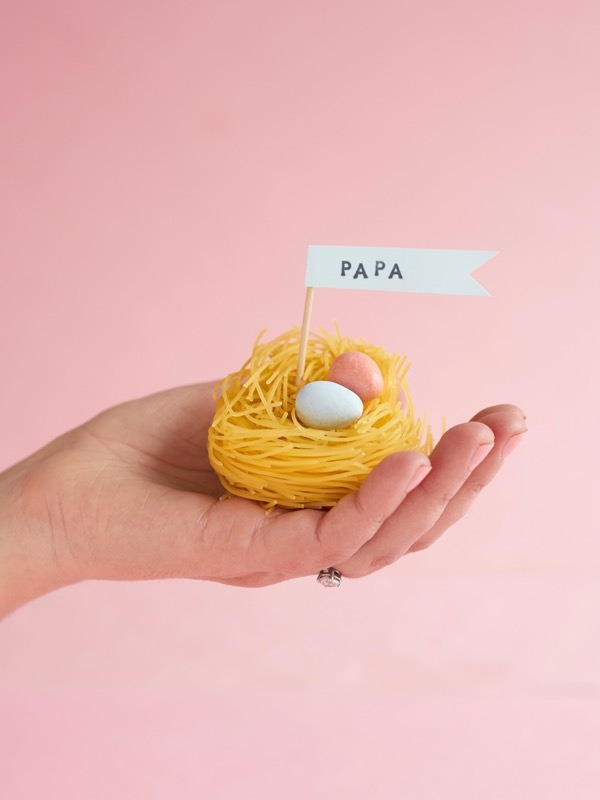 Step 3: Place a few candy eggs into the nest, and insert the toothpick into the pasta at an angle. 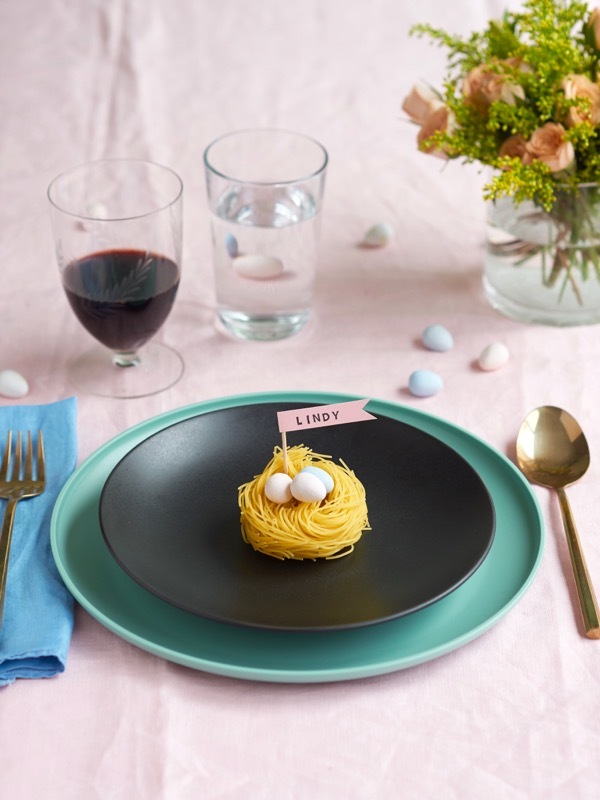 These are so cute, perfect for easter! Thanks for sharing, hope you are having a lovely day. OMG! So cute!! I had never thought of that, and those are just perfect little nests! Wow. 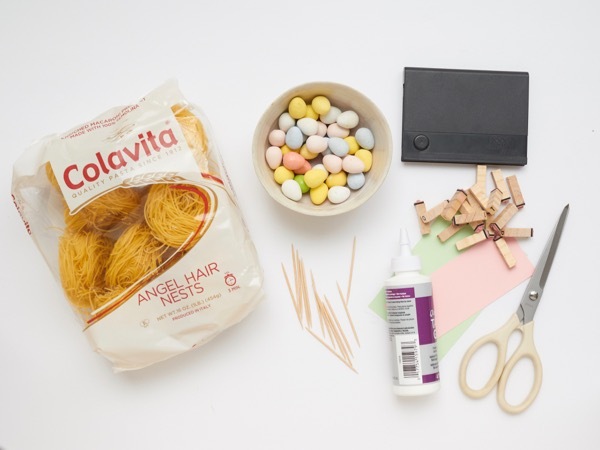 Those are incredibly easy and cute. The kids will get a real kick out of these! I am pinning them right now.